The Sefirothic Tree (Art Prints/Posters) « Ars Obscura Bookbinding & Restoration Co. This work was selected from the numerous illustrations of antiquity celebrating this integral aspect of Jewish Mysticism, as this particular print possesses a primary virtue. 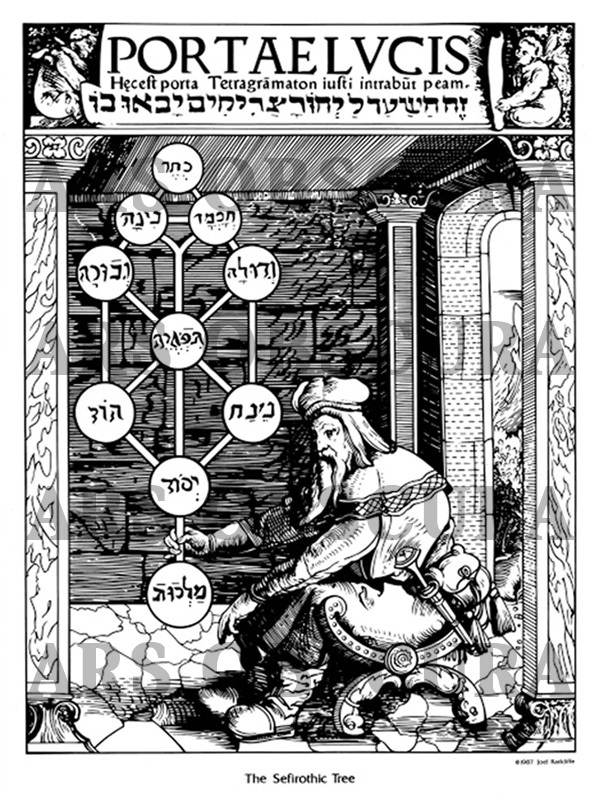 It represents a historically complete, graphic statement of the development of The Kabbalah in 1516. This print provides lovers of Traditional Magickal Art & the lovers of The Book Arts with an archival quality enrichment that continues to give, year after year. and published by ARS OBSCURA in 1987. The Sefirothic Tree is offered in two versions, both measuring 23″ x 35″ & printed via offset. The poster version is printed on a tan production parchment paper stock. A fine art limited edition print, signed & numbered, is the second version, printed on a laid paper, Nideggen Zerkall, made in Germany. Suitable for framing.